How many different recipes do you know for fruit salad? Most people immediately think of fruit cocktail smothered in whipped topping. A few others may think of fruit suspended in brightly colored Jell-O. Fruit salad can be so much more. 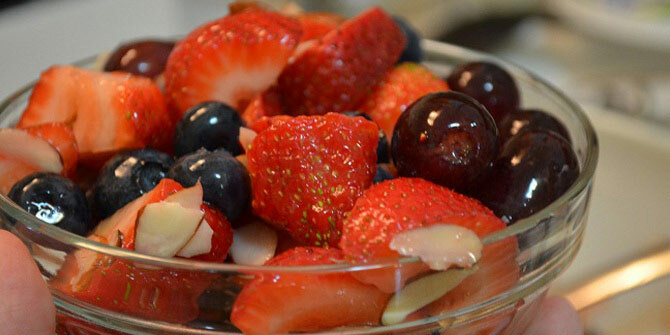 Fruit salad can focus on a single type of fruit, such as grapes. You can combine all different colors of grapes in a salad with a light dressing and have a lovely light dish to enjoy. Another option would be a salad made of various melons. You can combine fruit that have something in common, like tropical fruits. A salad made of pineapple, mango, star fruit, papayas and so on can be served with a complementary dressing as a side dish or a dessert. You can use unusual types of fruit in your salad, like the recipe shared here. Pairing avocados with peaches and tomatoes makes for a colorful, delicious salad that is full of nutrition. This salad proves that fruit salads do not have to be overly sweet. You can pair up fruit and greens to make a nice fruit salad. Pears go exceptionally well with salad greens, for example. Try adding fruit to a pasta salad. Apples make a good choice because they offer a firm texture in contrast with the softer pasta. If you like a little spice, try a curried fruit salad. Curry powder is added to yogurt as the dressing for seasonal fruit like strawberries, blueberries, and peaches. Another way to spice up your fruit is to combine it with ginger, lemon juice and honey. Fruit can also be combined with cheese to make an unusual yet tasty salad. Ripe melon and berries can be combined with cubes of Havarti cheese and topped with a light fruity dressing. Other fruit and cheese combinations include grapes and goat cheese or peaches and smoked gouda. Fruit salad has grown up and gone beyond the simple can of fruit cocktail covered in whipped topping. Any of these salads would be delicious with your next meal. Make the most of seasonal fruit when you make fruit salad. You will be rewarded with sweet, juicy flavor and lots of nutrition. 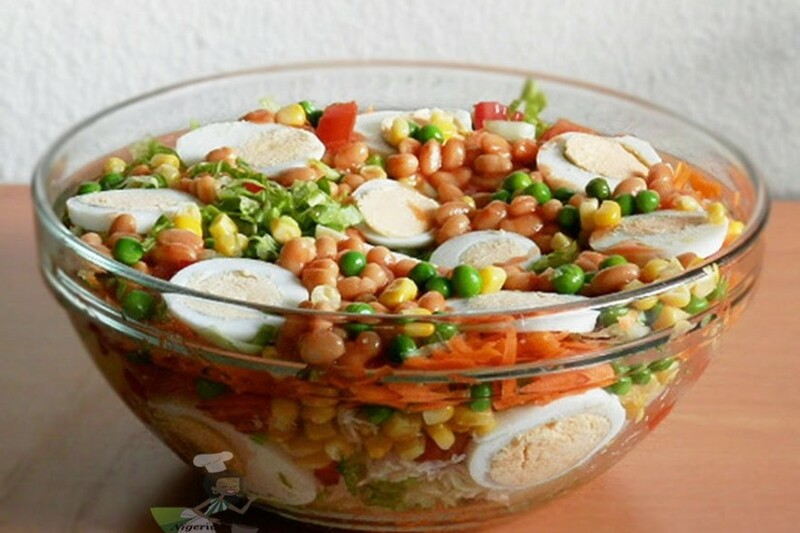 This is a very simple yet beautiful salad that will elicit oohs and ahhs from everyone. Peel and slice your fruit. Arrange the fruit slices attractively on a platter in a circular pattern, alternating peach, tomato and avocado. In a small bowl, combine the olive oil, lemon juice, mustard and chopped basil leaves. Season with salt and pepper to taste. Drizzle the dressing over the top of the fruit slices. Garnish with a large basil crown.